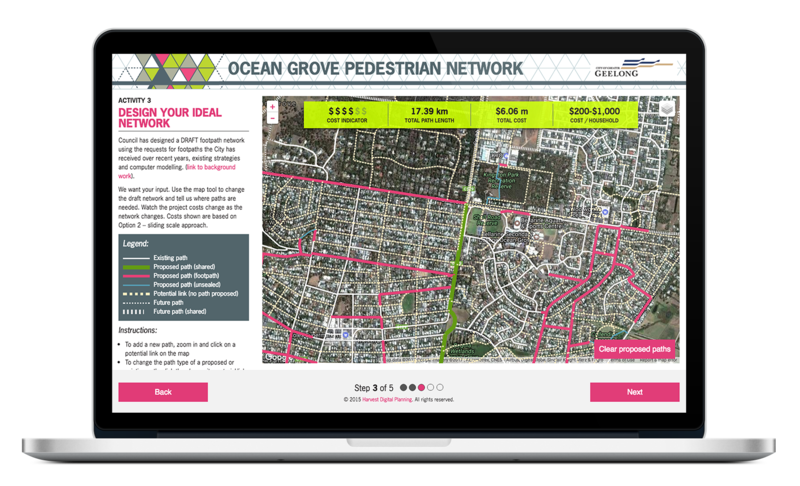 The City of Greater Geelong wanted to help residents of the coastal town of Ocean Grove contribute their ideas on how and where footpaths should be built. Harvest designed and built a tool that included a number of activities to engage the community in sharing their ideas and priorities – and to help them understand some of the budget restraints and trade-offs required. Users were able to choose from a list of options and dragged and dropped into a prioritised list. They were then provided with information about the need for trade-offs with regard to the level of funding available – and asked to select an option they thought was the best value for the spend. After this they could access an interactive map of the area and were empowered to select exactly which paths, and to what standard, they believed were the priorities. 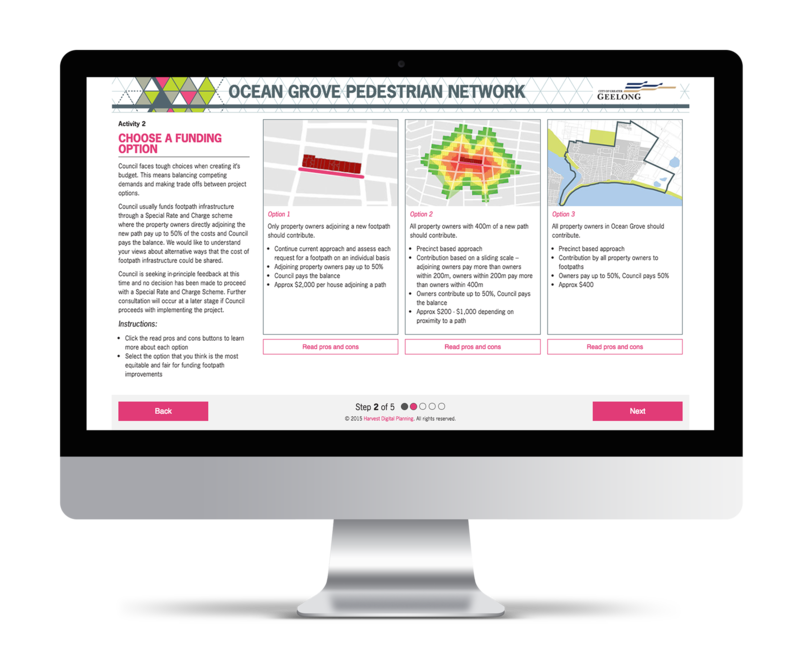 Finally, users were able to select any enhancements to the pedestrian network they felt were necessary such as lighting and pedestrian crossings. The results provided the City with accurate information about which areas were considered a priority by the local community for upgrade.